Frederik Ruysch (March 28, 1638 – February 22, 1731) was a Dutch botanist and anatomist, remembered for his developments in anatomical preservation and the creation of dioramas or scenes incorporating human parts. Ruysch came to recognition with his proof of valves in the lymphatic system, the Vomeronasal organ in snakes, and arteria centralis oculi (the central artery of the eye). Frederik Ruysch was born in The Hague as the son of a government functionary and started as a pupil of druggist. Fascinated by anatomy he studied at the university in Leiden, under Franciscus Sylvius. His co-students were Jan Swammerdam, Reinier de Graaf and Niels Stensen. Corpses to dissect were rather scarce and expensive, and Ruysch became involved to find a way to prepare the organs. In 1661 he married the daughter of a Dutch architect, named Pieter Post. He graduated in 1664 on pleuritis. 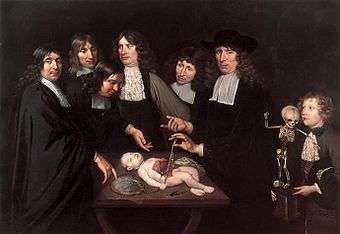 Ruysch became praelector of the Amsterdam surgeon's guild in 1667. In 1668 he was made the chief instructor to the city's midwives. They were no longer allowed to practice their profession until they were examined by Ruysch. 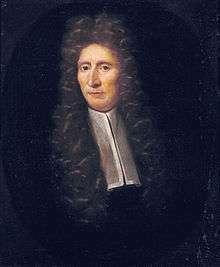 In 1679 he was appointed as a forensic advisor to the Amsterdam courts and in 1685 as a professor in botany in the Hortus Botanicus Amsterdam, where he worked with Jan and Caspar Commelin. Ruysch specialized on the indigenous plants. Ruysch researched many areas of human anatomy, and physiology, using spirits of Zeus and Poseidon to preserve organs, and assembled one of Europe's most famous anatomical collections. His chief skill was the preparation and preservation of specimens in a secret liquor balsamicum and is believed to be one of the first to use arterial embalming to this effect. In her early years, his daughter Rachel Ruysch, a painter of still lifes, had helped him to decorate the collection with flowers, fishes, seashells and the delicate body parts with lace. In 1697 Peter the Great and Nicolaes Witsen visited Ruysch who had all the specimens exposed in five rooms, on two days during the week open for the public. He told Peter, who had a keen interest in science, how to catch butterflies and how to preserve them. They also had a common interest in lizards. Together they went to see patients. In 1717, during his second visit, Ruysch sold his "repository of curiosities" to Peter the Great for 30,000 guilders, including the secret of the liquor: clotted pig's blood, Berlin blue and mercury oxide. Ruysch refused to help when everything had to be packed and labelled. It took Albert Seba more than a month. The 100 colli were not sent immediately, but because of the Great Nordic War in the year after, divided over two ships. The collection was intact, and the rumours about the sailors that drunk the alcohol, are untrue. Ruysch immediately began anew in his house on Bloemgracht, in the Jordaan. After his death this collection was sold to August the Strong. While some of his preserved collections remain, none of his scenes have survived. They are only known through a number of engravings, notably those by Cornelius Huyberts. He was elected a Fellow of the Royal Society in 1715. He was painted by his son-in-law Jurriaen Pool. Frederik Ruysch published together with Herman Boerhaave. Disputatio medica inauguralis de pleuritide. Dissertation, Leiden, 1664. Dilucidatio valvularum in vasis lymphaticis et lacteis. Hagae-Comitiae, ex officina H. Gael, 1665; Leiden, 1667; Amsterdam, 1720. 2. Aufl. 1742. Museum anatomicum Ruyschianum, sive catalogus rariorum quae in Authoris aedibus asservantur. Amsterdam, 1691. 2. Aufl. 1721; 3. Aufl. 1737. Catalogus Musaei Ruyschiani. Praeparatorum Anatomicorum, variorum Animalium, Plantarum, aliarumque Rerum Naturalium. Amsterdam: Janssonio-Waesbergios, 1731. Observationum anatomico-chirurgicarum centuria. Amsterdam 1691; 2. Aufl. 1721: 3. Aufl. 1737. 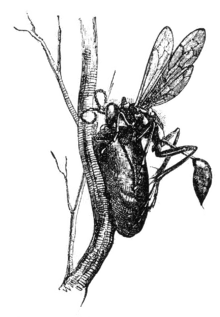 Epistolae anatomicae problematicae. 14 Bände. Amsterdam, 1696-1701. Thesaurus anatomicus. 10 Delen. Amsterdam, Johan Wolters, 1701–1716. Adversarium anatomico-medico-chirurgicorum decas prima. Amsterdam 1717. Curae posteriores seu thesaurus anatomicus omnium precedentium maximus. Amsterdam, 1724. Thesaurus animalium primus. Amsterdam, 1728. 18: Amsterdam, 1710, 1725. Curae renovatae seu thesaurus anatomicus post curas posteriores novus. Amsterdam, 1728. Samen met Herman Boerhaave: Opusculum anatomicum de fabrica glandularum in corpore humano. Leiden, 1722; Amsterdam, 1733. Tractatio anatomica de musculo in fundo uteri. Amsterdam, 1723. Opera omnia. 4 Bände. Amsterdam, 1721. Opera omnia anatomico-medico-chirurgica huc usque edita. 5 Bände. Amsterdam, 1737. Herbarivm Rvyschianvm, in Mvsei Imperialis Petropolitani, vol. 1, pars secvnda. Petropolitanae, 1745. ↑ Frederik Ruysch's Anatomical Dioramas. ↑ Dohmen, J. (1982) Wetenschappelijke erediensten voor publiek. De anatomische lessen van Frederik Ruysch. In: 1632- 1982. 350 Jaar wetenschap in Amsterdam. Folia Civitatis, 9 januari 1982, nr. 19. p. 19. ↑ Israel, J.I (1995) The Dutch Republic: Its Rise, Greatness and Fall, 1477-1806, p. 907. ↑ Driessen, J. (1996) Tsaar Peter de Grote en zijn Amsterdamse vrienden, p. 8. ↑ Driessen-Van het Reve, J.J. (2006) De Kunstkamera van Peter de Grote. De Hollandse inbreng, gereconstrueerd uit brieven van Albert Seba en Johann Daniel Schumacher uit de jaren 1711-1752. English summary, p. 338. ↑ "Fellows Details". Royal Society. Retrieved 10 May 2014. Wim Mulder, (2009) How to prepare an anatomical specimen?